CHUNG Suk-gyoo, Honorary Chairman of Shinyang Cultural Foundation renowned for his generous donations and contributions to Seoul National University as well as other schools and public organizations, passed away due to chronic disease on May 21, 2015 at age 86. 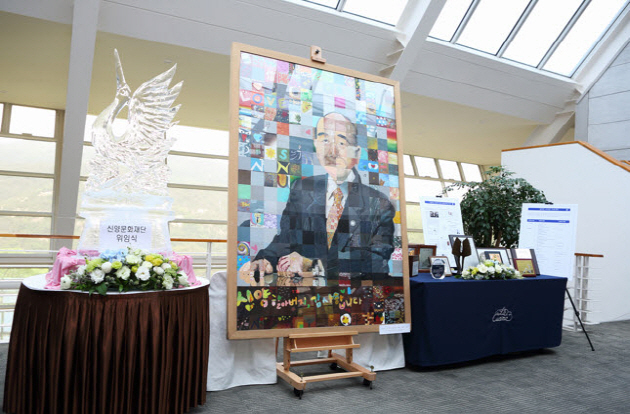 Until his death, the Chairman donated a total of about 45.1 billion won to the Korean society. 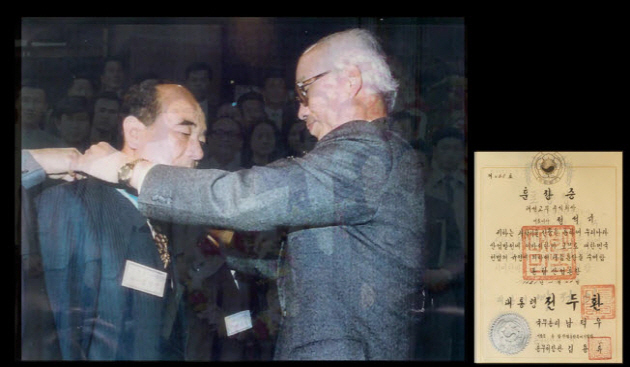 Mr. Chung entered Seoul National University in 1946 and earned his bachelor's degree in Chemical Engineering in 1952. At the time, Korean industry was devastated by decades of Japanese colonialism followed by three years of war. Unlike many of his peers who became doctors or professors, Mr. Chung sought to actively pioneer a new path by choosing a much less stable career in the rubber industry. Because Korea had no experts in that field, learning necessary skills and technology was a challenge. Simply working at a local rubber factory was not enough to further develop the industry, because rubber was used to make basic goods such as rubber shoes, which did not require advanced technology. In order to bring Korean rubber industry to the next level, Mr. Chung studied abroad in Japan and the U.S. to learn about new rubber technology that Korea needed. 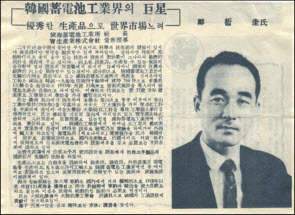 Then in 1967, Mr. Chung founded Taesung Rubber &Chemical Co. which focused on developing"reclaim" rubber technology and domestically producing special industrial rubber for electronic goods, both fields that had been completely unfamiliar in Korean rubber industry. As a result of such commitment, Mr. Chung received various recognitions for his significant contributions to the growth of Korean industry and economy, but he did not stop there. In 1979, Mr. Chung established the Rubber Society of Korea in the hope of cultivating younger experts who would develop rubber manufacture. In the midst of hard work and fast-paced life from his rubber company, Mr. Chung reached a turning point when he was diagnosed with laryngeal cancer in 1998. After he had his larynx removed, and it became difficult for him to communicate with others, Mr. Chung began to reflect upon life and decided that he wanted to share with people in need. Thus he established Shinyang Cultural Foundation, which financially supported research on incurable disease and public organizations. A few years later, he sold Taesung Rubber &Chemical to a professional executive instead of passing the company to one of his sons, as he wanted to avoid leaving an excessive amount of inheritance to his children. After retiring from the rubber industry, Mr. Chung devoted himself more to serving the community through his new foundation. Most notable is his numerous donations to his alma mater, Seoul National University. Even since its establishment, Shinyang Cultural Foundation has donated a total of 38.5 billion won to SNU in various ways. Hundreds of students have received scholarships, while professors and researchers in the engineering field have received research funds. In addition, perhaps the best known donations are the three libraries at the College of Engineering, the College of Humanities and the College of Social Sciences, respectively. The buildings, each respectively called Shinyang Hall I, II and III, are comprised of large study spaces and information search rooms. To date, Mr. Chung remains the top individual donor in SNU's history. The motivation to donate libraries to his alma mater came from his experience of visiting Harvard University in 1999. Mr. Chung remarked,"I was shocked to see students at Harvard freely study at more than 100 libraries, big and small. At the time the development funds for Harvard were more than 20 trillion won, but SNU's development funds are less than one hundredth of those of Harvard. Korea will have a bleak future unless the whole society rolls up its sleeves to support universities, because pursuing education needs money." In return of the Honorary Chairman's contribution, SNU named Mr. Chung as a"Distinguished SNU Alumni" in 2005, as well as awarding him with an honorary doctorate degree in 2010. Also, the College of Engineering provided him with his own office on the fourth floor of the Shinyang Library he donated. In contrast to the large amount of donations he made to Korean society, Mr. Chung is well-known for having led a very frugal lifestyle. Until a few years ago, Mr. Chung's daily routine was to go to his office in the Shinyang Library in the morning, and buy himself a 2,500 won lunch at a nearby cafeteria. His frequent visits to his alma mater and his humble and friendly character earned him much respect and the nickname"Grandfather Shinyang" from many SNU students. There are many SNU graduates who have earned a great fortune after leaving school. But Mr. Chung stands out among thousands of alumni in that he made some of the biggest donations to SNU and contributed to the"donating culture" in Korea. His generous mindset will be long remembered by the SNU community and the rest of Korean society.